BUT I TELL YOU, IF YOU DO NOT REPENT, YOU WILL ALL PERISH AS THEY DID. The readings for our Lenten journey this Sunday help us to look back to the beginnings of God's mercy in the call and commission of Moses, then to the unfaithfulness of the Israelites wandering in the desert and finally to a call to repentance by Jesus and a reminder of God's patience to give us yet another season to repent. In our first reading (Exodus 3:1-8, 13-15), God appeared to Moses in the burning bush and commissioned him to go to the Israelites and lead them to freedom. For the first time in recorded Scripture, God identified himself by his proper name, "I AM who AM." Translated in Hebrew, this is "Yahweh". This name was so sacred, it was usually substituted with "YHWH", or "Elohim" (God) or "Adonai" (Lord). In our Epistle reading (1 Corinthians 10:1-6, 10-12), St. Paul tells the Christians in Corinth how the Israelite's experience in the Exodus prefigured their own salvation in Christ. Their "ancestors" ate and drank of the spiritual food and drink in the desert, prefiguring the Christ who nourishes us in his body and blood. However the Israelites rebelled and most were struck down. We should heed their example as a warning and "take care not to fall." In our Gospel reading,(Luke 13:1-9) we hear a two-part message by Jesus. First, a reminder that we all must repent or perish. Secondly, our God is a patient God, giving us yet another opportunity to repent. Just as in the parable of the barren fig tree, the owner waited one more season to see if it would bear fruit before he would cut it down. Some people told Jesus about the Galileans whose blood Pilate had mingled with the blood of their sacrifices. Jesus said to them in reply, "Do you think that because these Galileans suffered in this way they were greater sinners than all other Galileans? By no means! But I tell you, if you do not repent, you will all perish as they did! Or those eighteen people who were killed when the tower at Siloam fell on them - do you think they were more guilty than everyone else who lived in Jerusalem? By no means! But I tell you, if you do not repent, you will all perish as they did!" 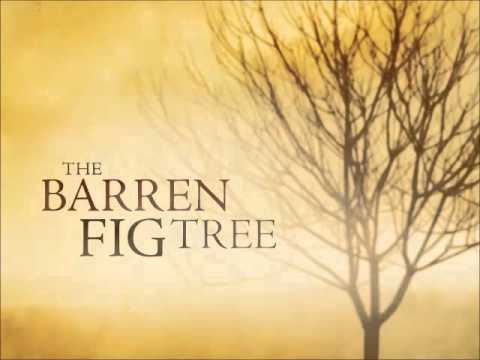 The owner of the barren fig tree is God; the gardener is Jesus; the fig tree is us. This is our time to repent; to reflect on where we have been and where we are going. This is our time to reflect on the sins of our past and follow Christ's example of love, compassion and faithfulness.